Buying new gear can be fun and stressful in equal measure. And with more choice on the market than ever before, there’s an awful lot to think about before you take the plunge. 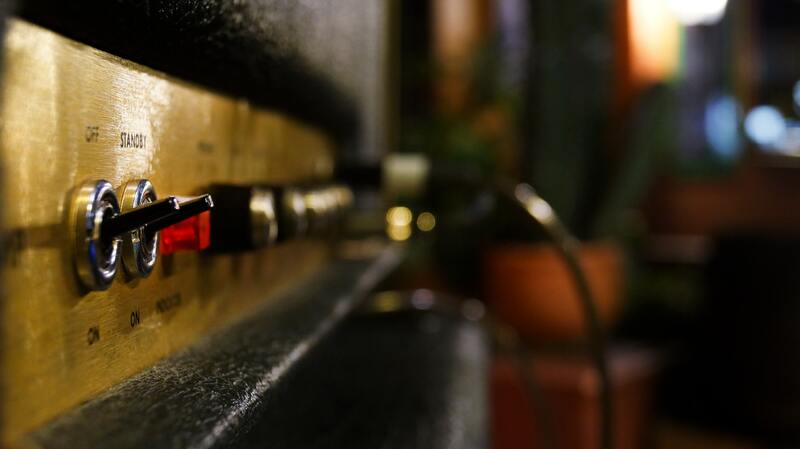 One of the most commonly asked questions is: what’s more important: guitar or amp? What Makes a Guitar Sound Good? Before we tackle the burning question of guitar or amp, it’d be good to get the bottom of what affects a guitar’s sound. How do you get great tone? And subsequently, how important is the guitar in finding your perfect sound? How Does Wood Affect a Guitar’s Tone? Now there’s a divisive question. To start things off, yes – wood does affect your guitar sound. That’s apparent when you compare a Fender Tele to a Gibson Les Paul. Ash and Alder sounds more mid-focused and spanky, while Mahogany is warm and full of sustain. Then there’s the neck and fretboard wood. Again, a maple neck is going to have a snappier sound than a Mahogany neck. A Rosewood fretboard will sound warm with plenty of attack, compared to the neutral, balanced tone of Richlite for example. Consider your preferred musical style, and this will influence your choice of tonewood. If you’re a hard rock or metal player, you might want an accentuated low end with a tight attack. Mahogany body and an Ebony fretboard would do the trick. Blues or country? Alder body with a Maple neck. It’s that simple! (below) The Chapman ML1 Pro Traditional uses an Ash body, known for a balanced tone with slightly scooped mids. It also looks pretty darn cool! Want to know more about Electric Guitar Tonewood? Read our article on it here. How Important are Pickups for a Guitar’s Sound? The tone of a guitar is a team effort. 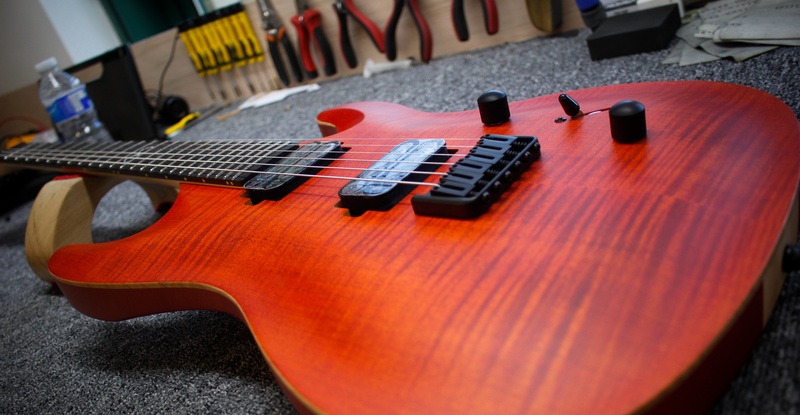 Woods, strings, hardware – and of course, pickups. Pickups detect the vibrations of your guitar strings and convert them into an electrical signal for amplification. This essentially makes pickups the bridge between your instrument and the amplifier. With this in mind, they could be considered pretty important. That’s why there are so many different varieties on the market. From different types like single coil, humbucker and P90 to specific models like EMG 81s, Seymour Duncan Hot Rails, Lace Sensor Reds and many more. These varieties each offer something different. A Mahogany guitar with a single coil in it will sound drastically different than a Mahogany guitar with a pair of EMGs. We’d go so far as to say that pickups make a pretty big difference! For more info on electric guitar pickups, check out our Ultimate Guide here. How Do I Get the Best Sound Out of My Guitar? There are a number of things that you can do to make sure your guitar is sounding top notch – no matter how much it costs. Fresh strings – spend a few weeks or months with the same set of strings and you forget the glorious tone of a fresh pack. Treat yourself and your instrument to new strings at least every few months! A decent setup – setting intonation, action and truss rod can make a huge different to the resonance and sustain of your guitar. Find the perfect plectrum – struggling to lay down those gnarly riffs? A 0.75mm plectrum won’t do you any favours. Spend some time finding a plectrum that suits your hands and your style, you’ll be amazed at the difference! Practice – yep, we played the most obvious card. Practicing improves strength and familiarity, ensuring that your playing sounds clearer and more confident as time goes on. (below) taking time to setup your guitar makes a big difference to its sound – and to the way it feels. Check out our repairs and service page for more info! Bonus Round: the Hands of the Player! It’s all very well and good considering the make-up of a guitar, but the player is half the battle. Jimi Hendrix’s Strat probably wouldn’t have sounded like it did without Jimi himself at the helm. Looks vs. Feel vs. Sound – What’s More Important? It’s not all about how it sounds. Though not everyone will admit it, we all care about how our guitar looks – some people perhaps a little too much. In most cases, you’ll see a guitar before you hear it, so it’s got to look the part. Ask yourself this: would you buy a pretty guitar that sounds bad or an ugly guitar that sounds great? Food for thought. Then there’s the way the guitar feels. This is often a real deal-breaker for players. Your guitar is your instrument, your tool of creative expression. You need to feel comfortable with it. It needs to respond to you and it needs to allow you to realise your musical ideas – with this in mind, you have to feel totally at home with it. We’d absolutely always recommend trying guitars before you buy, if possible. Nothing compares to feeling the thing in your own hands – most players know very quickly whether or not they’ll get on with a guitar. At Andertons Music Co, we’ve got a number of sound-proofed demo rooms and playing areas for this exact purpose. If you don’t have a chance to explore the feel of a guitar, you could make an estimated guess. Mahogany bodies tend to be heavier, satin finished necks are often easier to play, thinner neck profiles are faster still – and so on! What Makes an Amp Sound Good? We’ve explored the things to consider when shopping for a guitar. So how about amps? Let’s dig a little deeper to see if we can answer our question. Do I Need a Valve Amp or Solid State Amp? One of the most common things you’ll come across when looking at amps is the pros and cons of valve amps vs. solid state amps. Valve amps are powered and amplified using vacuum vales (or ‘tubes’), while solid state amps use electronics (transistors and similar components) to make noise. Many guitarists swear by valve amps. Vacuum valves produce a warm, dynamic tone that handles volume extremely well. By comparison, solid state amps aim to reproduce similar tones, but many musicians can easily tell the difference. If you crank a distorted valve amp alongside a distorted solid state amp, you can generally hear a difference in clarity and warmth – though this is subjective and depends on the amps in question. So are valve amps better than solid state amps? While valve amps arguably produce a richer sound, they tend to be more expensive. Not only that, but vacuum valves are generally considered to be a little more fragile – they need to be looked after! Valves will degenerate in terms of sound quality the older they get, while solid state amps remain consistent. If you’re looking to play at high volume and you make the most of dynamics in your tone, valves are always a good choice. But for practice and home use, solid state amps get the job done, and tend to be a bit cheaper. A guitar amp stack consists of at least two components: a head and a speaker cabinet. You can always add more cabinets to this sort of setup if you feel like making more noise or looking like more of a rockstar. A combo, as the name suggests, combines both of these components into a single unit. Combos provide you with both consistent tone and volume without the need for any external speakers. On the flipside, stacks are more versatile in that they can be chopped and change to find your own sound. This is also comes in handy when gigging – you can easily show up to a gig with an amp head and use a shared backline. You can find out more about amp combos and stacks here. Do Speakers Make a Difference to Guitar Tone? To this, we can safely say yes. Different speaker sizes, materials and configurations can have a huge effect on tone. If you listen to a preamp or distortion pedal without a cabinet, it often leaves a lot to be desired. If you’d like to know more about the different types of guitar cabinets on the market, check out our article here! Does Volume Affect an Amp’s Tone? This depends on a number of things. First of all, valve amps tend to sound a little hotter and more responsive at loud volumes because the valves are pushed to operate at a higher temperature. This is essentially the cause of natural overdrive, as your signal starts to break up and distort in an organic way. Many guitarists consider a cranked, overdriven valve amp to be something of a tonal holy grail. Then there’s an amplifier’s power rating, or wattage. This determines the amp’s capacity to handle volume; the higher the rating, the higher the volume can go without sounding rubbish. That’s why low wattage solid state amps tend to sound a little flat at high volumes. Higher wattage amps tend to cost more because they can handle more – making them better for gigging or recording at high volume. Summary: New Guitar or New Amp? So we’ve established what to look out for in a guitar and an amp. We’ve boldly gone where no guitarist has gone before – well, not quite, but we like being thorough. There’s an awful lot that makes a difference to the tone of your guitar and amp. But more importantly, different components in your rig have varying effects on your tone, and furthermore, on your playing experience. Sound – do you prefer clean or distorted? Warm or bright? Or a decent all-rounder? Feel – this only really refers to the guitar, but is extremely important. As mentioned earlier, your guitar is your musical tool – you have to be totally comfortable with it. Looks – we all want to look the part. Again, the guitar arguably plays a bigger role here. Volume – while some guitarists offer more output, volume is largely dependent on the amp. Will you be gigging? Practicing? Louder amps tend to cost more, depending on their design! Style – requirements for metal will be different to requirements for jazz fusion. With jazz and blues, you may want a little more dynamic versatility, while metal is a bit more straight to the point! So what matters most to you? This will help point you in the right direction. Your amp is crucial to your musical style and the volume you’ll be playing at, while your guitar has a direct effect on your playing experience and tone. There’s no right or wrong answer! We hope you enjoyed exploring with us. Want to learn more? Check out some more interesting content right here.